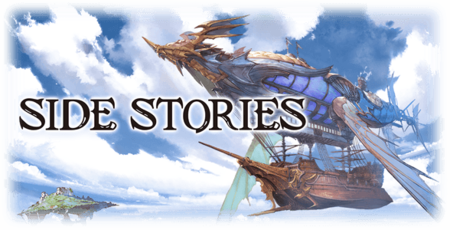 A side story is an old story event that is now permanently available. More side stories will be added over time. Side stories are accessed from the World Map by tapping the airship at the lower-right corner of Phantagrande Skydom's first map, or on the Home Screen under Gameplay Extras. This page was last modified on 18 April 2019, at 13:51.